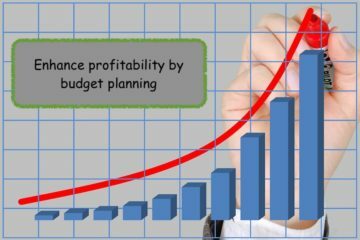 It is often observed especially in the MSME sector the concept of budget planning is either missing or it is only with the Owner and the accountant. No one else is preview to the details. One of the main reason for a business to exist is to make profits. But many a times the business owners focus will be on Sales(Revenue) and are happy with whatever profit is achieved. This is where the owners need to understand the importance of preparing a budget. This is the first step. So what is a budget and why is it important. Budget is a financial plan for the future considering the Revenue(Sales) and Cost(expenses) of the business. Ideally 3 to 5 year plan is a must and the first year to be a firm plan. In simple terms projection of the profit and loss account month wise for the first year will be very valuable. In other words it is estimate (itemized) of sales and expenditure. Once it is prepared it can be compared with the actuals to understand the variances. This is to be prepared in advance. The budget is also a plan for savings, borrowing, spending, capital expenditure. The budget amounts are to prepared by the respective managers who spend the money: production, quality, maintenance, Design, Sales, HR, Purchase & Accounts. Sales have to first give their projections based on which other departments work out their expenses. 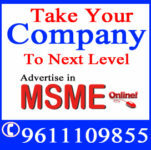 The combination of these budgets is termed as Master Budget of the organization or Profit plan. The budget is to be prepared based on the long term and annual objectives of the organization. The actuals are compared every month so that they can take necessary action if the expense have exceeded the plan and plan for improvement activities. The Sales can be increased by a)increasing the order book 2)improve productivity by better utilization of resources, reduce rejections and rework, upkeep of machines and utilities. Since the sales, Expenses and Profit is predicted in advance , the organization can plan improvement activities and increase the profitability. Future expenses on capital can be planned in advance. Alignment to goals of the organization by all members. Managers will be more accountable.